Please send me an email via my contact page and I will send you a video outlining the Toxic Nightmare that threatens all our lives. XanGo has delivered a skin care innovation. Natural products for skin care through a ground breaking discovery. Glimpse Natural skin care allows the dark, nutriernt rich peel of mangosteen to undergo a natural, toxin free biofermentation process. The potency and purity of mangosteen is amplified resulting in the innovation of the proprietary BioActive X3 Complex. Glimpse Natural Skin Care with its xanthone rich complex will nourish and revitalise your skin. The careful balance of BioActive X3 complex with mangosteen infused water and a meticulous combination of cold pressed botanical ingredients will ensure you have a clearer, radiant and younger looking complexion. Please view the incredible pictures on XanGo’s website of the results with normal skin. 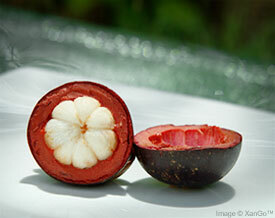 Now there is a skin care, made of natural products for skin care with the antioxidant properties of mangosteen. Glimpse is a natural product for Skin Care that is botanical and toxin free. Normal to Dry skin (System I) with four products Gel Cleanser (100 mls), Toner (50 mls), Serum (30 mls) and Moisturising Lotion (50 mls). Normal to Combination skin (System II) with four products Creamy Cleanser(100 mls), Toner (50 mls), Serum and Moisturising Cream (50 mls). Complete System comes with all six products both cleansers, toner, serum and both moisturisers. Choose Join as a Preferred Customer. VIEW the One-Time Membership Area in the Links below. You will be taken to a secure purchase page when you order. Hey There. I found your blog using msn. That is a really well written article. I’ll make sure to bookmark it and come back to read extra of your useful info. Thank you for the post. I’ll definitely return.